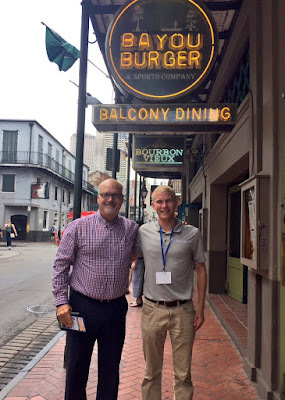 I recently had the privilege of attending the National Association of Schools of Allied Health Professions (ASAHP) conference in New Orleans this October. Thanks to the nomination and sponsorship from my Program Director, Dr. Anthony Breitbach, and the Dean of the Doisy College of Health Sciences, Dr. Mardell Wilson, I was selected as one of seven students from various health professions and universities to develop a plan and infrastructure to start a national ASAHP student organization. I am incredibly grateful for this opportunity that the SLU Doisy College of Health Sciences has made possible. 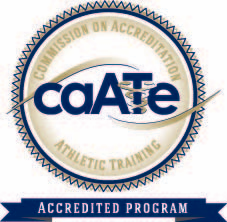 This experience has also helped shape my career path as a future athletic trainer. It was extremely rewarding to be a part of such a select group of highly motivated students and to see the overwhelming support and enthusiasm the ASAHP Board of Directors gave us for our efforts developing the ASAHP Student Assembly. As the only athletic training student in the group, I enjoyed seeing how my athletic training experiences go beyond the clinical site and have helped shaped my collaboration and problem solving abilities. In addition to working with my team, I moderated presentations that included great work on Interprofessional Education from SLU’s Dr. Leslie Hinyard, Eileen Toomey and Dr. Breitbach. I also listened to several inspirational speakers on the future of healthcare education and networked with accomplished professors and deans such as Dr. David Perrin and Dr. Chris Ingersoll, former editors of the Journal of Athletic Training. Seeing all the great research being done and interacting with leaders in higher education so passionate about helping students, it reaffirmed my recent decision to pursue a Ph.D. so that I can contribute valuable research and impact students the way the SLU Athletic Training Program has impacted me. I want to reiterate my gratitude to the Doisy College of Health Sciences for giving me such an enlightening and influential opportunity that has helped shape my professional future as an athletic trainer.